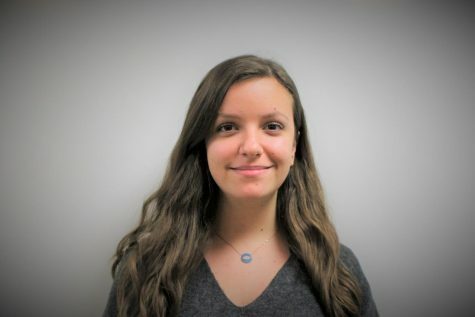 Klaudia Spahiu is a current junior in the Finance Academy and is a second year member of The Maroon Tribune as assistant sports section editor. She is one of the presidents of DMAE’s Junior State of America Chapter, the historian for Student Council, the social media director of DECA, and also plays volleyball and softball for Dwight Morrow. Even though she is in the Finance Academy, she uses her free time to expand her knowledge on politics and government to one day become a politician. Outside of school, she likes to train for sports and watch sporting events. With her love of sports, she hopes to become better at sport news reporting and writing for the DMAE newspaper.